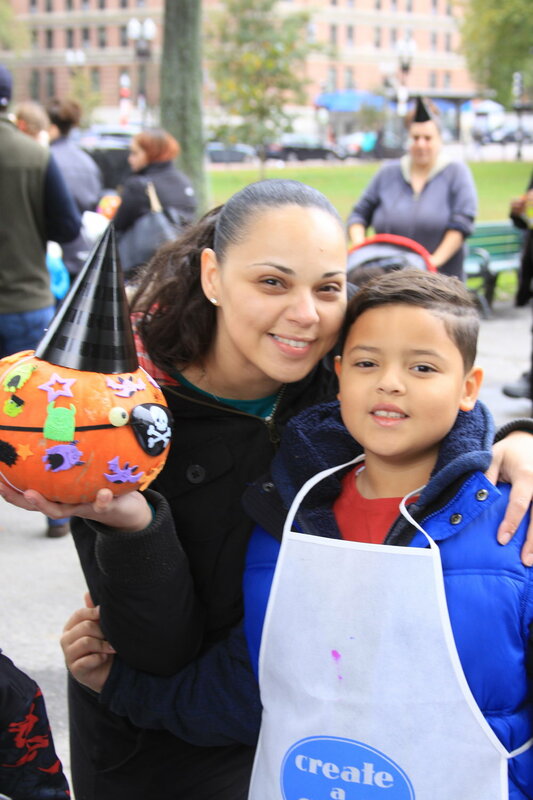 Thanks to the efforts of many volunteers of BFSNA and the Friends of Blackstone and Franklin Squares, we pulled off an epic Halloween Festival on 10/29 in Blackstone Square. Over 500 neighbors attended the shindig including children, teens, adults, grandparents, and about 100 dogs! The costumes on the children, grown ups and dogs created a sea of smiles all over the square. BFSNA was thrilled to have the company of the following organizations at the Halloween Festival: Endurance Pilates (yoga class), South End Community Health Center (healthy treats), Blackstone Community Center (spooky crafts), St Stephens Youth Programs (creative cookies), United South End Settlements (slimy sensory table), Boston Police Department (Ice cream truck, face painting), South End Library (halloween stories), IBA, Sam the DJ (spooky tunes) and Michele Maniscalco's haunted graveyard tour! Thanks to Boston University and Washington Gateway Main Street for your financial support. BFSNA and the Friends offered the pumpkin decorating activity and the Dog Costume Contest with prizes donated by Polka Dog Bakery and WannaGoOut dog walking service. Special thanks to Holly Utt for coordinating the pumpkin decorating and to Tiffany Hubanks for organizing the Dog Costume Contest. It is a pleasure to work together with dozens of volunteers and multiple community organizations and businesses to give one big halloween bash in Blackstone Square for our wonderful community here in the South End. Newer PostChristmas Tree and Wreath Sale: Pre-Order Now! Older PostBFSNA Launches New Website!